Join Clients First as we roll out ProMRO to the MRO America's attendees next week in Atlanta. There will be over 15,000 industry professionals at conference from Tuesday, April 9 to Thursday, April 11, 2019. Network with leading aviation maintenance, repair, overhaul (MRO) companies, suppliers, airlines, regulators, OEMs, operators, and other aviation solution providers come together to exchange ideas. Learn what’s trending now and the near future in the aviation MRO industry. We are exhibiting our ProMRO Cloud Software in booth #2108 so please stop by and see the latest in finance and operations MRO software for the maintenance, repair and overhaul industry. If you are looking for better ways to run your MRO aviation operation, come and talk to our ProMRO team. ProMRO is an aviation MRO dream come true! 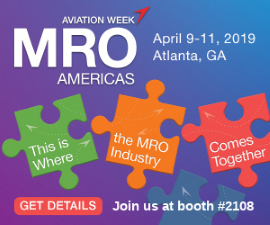 The 3 day Aviation Week at the MRO Americas will be held at the Georgia World Congress Center - 285 Andrew Young International Blvd. NW, Atlanta, Georgia 30303. There will be over 870 exhibitors, so we want to make sure you make it to our booth therefore we are giving away a $200 Amazon gift card after the show ends to attendees that register at our booth 2108. What is ProMRO for the Aviation MRO industry? The aviation MRO industry is one of the most regulated industries of all types. You are faced with some of the hardest compliance requirements and safety standards. To be successful, it's critical to find ways to keep costs low or know what your costs are, while meeting the demands of your customers with precise accuracy and timeliness. 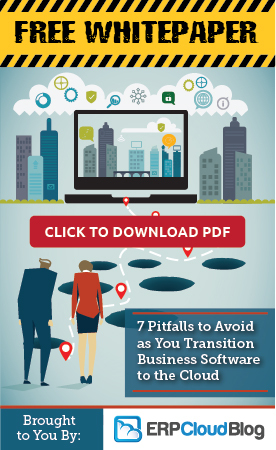 Many companies we talk to are using outdated, manual, and/or non-integrated systems. Our ProMRO solution is embedded with Acumatica business software with financials, inventory, work orders, costing and more. ProMRO was developed by MRO industry professionals that understand what the MRO needs. Ranked the leader in ease of use two years in a row, Acumatica was the perfect choice as the backbone of ProMRO. Acumatica has over 5,000 customers and is the fastest growing cloud ERP solution available. There is NO PER USER license cost for the MRO that needs over 10 users. Our ProMRO solution helps to manage the complexity of aviation MRO with a modern, easy to use, and integrated system. Clients First is known for our vertical expertise in Maintenance, Repair, and Overhaul (MRO) for Aviation or Equipment, Manufacturing and Job Shops. Contact us at 800-331-8382 or email [email protected]. Clients First located in Dallas, Texas and Minneapolis, Minnesota along with five other locations, serve companies worldwide.